Damages in medical malpractice cases normally take the form of economic damages such as wage loss, the cost of medical care, and other out-of-pocket expenses, and non-economic damages for pain and suffering resulting from the injury. In rare cases, the level of misconduct may rise to the level that a victim of malpractice can recover exemplary damages against the defendant. In 1993, Michigan passed caps on non-economic (pain and suffering) damages in medical malpractice cases in the amount of $280,000, or $500,000 if the plaintiff suffered from catastrophic or disabling injuries, with those caps adjusted annually for inflation. When more than one defendant is sued, under joint and several liability each defendant may be required to pay the full amount of the verdict. This policy helps ensure that a malpractice victim will be fully compensated even if one of the defendants has insufficient funds or insurance. 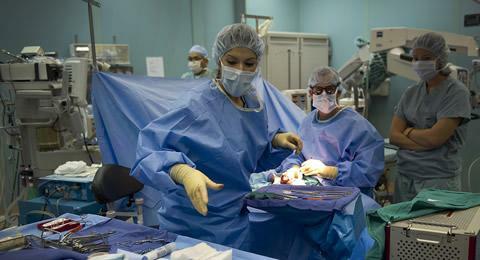 Michigan applies a rule of modified joint and several liability in medical malpractice cases. If a plaintiff is determined to be without fault for the injury underlying the complaint, liability of each defendant is joint and several. If the plaintiff is determined to have some percentage of fault for the injury, the defendants are severally liable except that if some portion of the judgment remains unpaid, within six months of final judgment the court may reallocate the liability for the uncollected portion of the judgment based upon the other joint tortfeasors' relative degrees of fault. Under the traditional collateral source rule, payments received by the malpractice victim from third parties such as medical insurance companies would not be considered in the calculation of damages. In Michigan, evidence of collateral source payments is inadmissible at trial, but the evidence may be introduced after verdict to reduce the damages to the amount actually paid. The statute of limitations limits the amount of time a person alleging medical malpractice has to file a lawsuit against health care providers. Under Michigan's statute of limitations for medical malpractice cases, a plaintiff must commence a claim within two years from the date of injury, or within six months of the date the injury was or should reasonably have been discovered. No claim may be filed more than six years from the date of injury. For minors under the age of eight, a malpractice case must be commenced on or before the minor's tenth birthday or within the standard limitations period, whichever period is longer. For minors between the ages of eight and thirteen, if the claim involves injury to a reproductive organ, the action must be commenced on or before the minor's fifteenth birthday or within the standard limitations period, whichever period is longer. Michigan limits contingency fees in personal injury cases, including malpractice litigation, to one third of the recovery. In Michigan, if a malpractice claim involves damages of $75,000 or less, including interest and costs, then the parties may agree in writing to submit the claim to binding arbitration. The results of this statutory arbitration process are not subject to appeal. Michigan requires personal injury claims, including malpractice claims, to go through a pretrial case evaluation process, before a panel of three lawyers. The results of evaluation are not binding on the parties, but if both parties accept the proposed resolution then the result becomes a binding settlement. If one party accepts the recommendation and the other does not, the rejecting party faces a possibility of sanctions depending upon the outcome of the litigation. When filing a medical malpractice action, the plaintiff must file an affidavit of merit from a qualified health professional that describes the governing standard of care, the professional's opinion that the standard of care was breached by the defendants, the actions that should have been taken or omitted by the defendants in order to comply with the applicable standard of care, and the manner in which the breach was the proximate cause of the injury alleged by the plaintiff. The deadline for filing the certificate of merit may be extended by up to twenty-eight days upon a showing of good cause, or for up to ninety-one days if the defendant fails to allow access to medical records consistent with Michigan law. Within twenty-one days of being served with an affidavit of merit, a defendant must file an affidavit of meritorious defense, with content requirements analogous to those for an affidavit of merit. If the plaintiff fails to allow the defendant access to medical records as required by Michigan law, the deadline for filing may be extended to 91 days. Prior to filing a medical malpractice lawsuit, the plaintiff must file upon each defendant a notice of intent to file a medical malpractice claim. The notice must state the factual basis for the claim, the applicable standard of practice or care alleged by the claimant, the manner in which it is claimed that the applicable standard of practice or care was breached, the alleged action that should have been taken to achieve compliance with the alleged standard of practice or care, the manner in which it is alleged the breach of the standard of practice or care was the proximate cause of the injury claimed in the notice, and the names of all health professionals and health facilities the claimant is notifying in relation to the claim. Within fifty-six days after giving notice, the claimant must allos the parties receiving the notice broad access to their medical records. The notice must be filed not less than 182 days prior to the filing of any lawsuit and, if the statute of limitations will run during that period, the statute of limitations is tolled for up to 182 days. That tolling provision does not apply to wrongful death actions. Michigan requires that an expert in a medical malpractice action be licensed as a health professional within the United States. If the party for or against whom the proposed expert's testimony is to be offered is a specialist, the expert must share the same specialty at the time of the occurrence; if that party is a board-certified specialist, the proposed expert must be board certified in the same speciality. Under most circumstances, during the year immediately preceding the date of the occurrence that is the basis for the malpractice claim, the majority of the proposed expert's time must have been devoted to active clinical practice in the same health profession as the party for or against whom the expert's testimony is licensed and, if that party is a specialist, within that party's specialty, the instruction of students in an accredited professional school, residency or clinical research program in the same health profession in which that party is licensed, or both. However, if the party for or against whom the expert's testimony is offered is a general practitioner, the proposed expert may qualify to testify if a majority of the proposed expert's time was devoted to active clinical practice as a general practitioner, the instruction of students in an accredited professional school, residency or clinical research program in the same health profession in which that party is licensed, or both. When evaluating whether a proposed expert should be permitted to testify, the court must consider the expert's education and training, the length of time the expert has been engaged in active clinical practice or instruction of the health profession, and the relevancy of the expert's testimony. An apology law prevents a plaintiff from using an apologetic or concilatory statement made by a defendant as evidence of the defendant's liability. Michigan's apology law provides that a statement, writing, or action that expresses sympathy, compassion, commiseration, or a general sense of benevolence relating to the pain, suffering, or death of an individual and that is made to an individual or to the individual's family is inadmissible as evidence of an admission of liability in an action for medical malpractice. However, a statement of fault, negligence or culpable conduct remains admissible, even if offered as part of an excludable statement of apology.